Contributor / Source: Disha Publication. Contents: History of India, Geography, Indian Polity and Governance, Economic and Social Development, General Science, Mental Ability and Management Ability, General Knowledge, Current Affairs, etc. 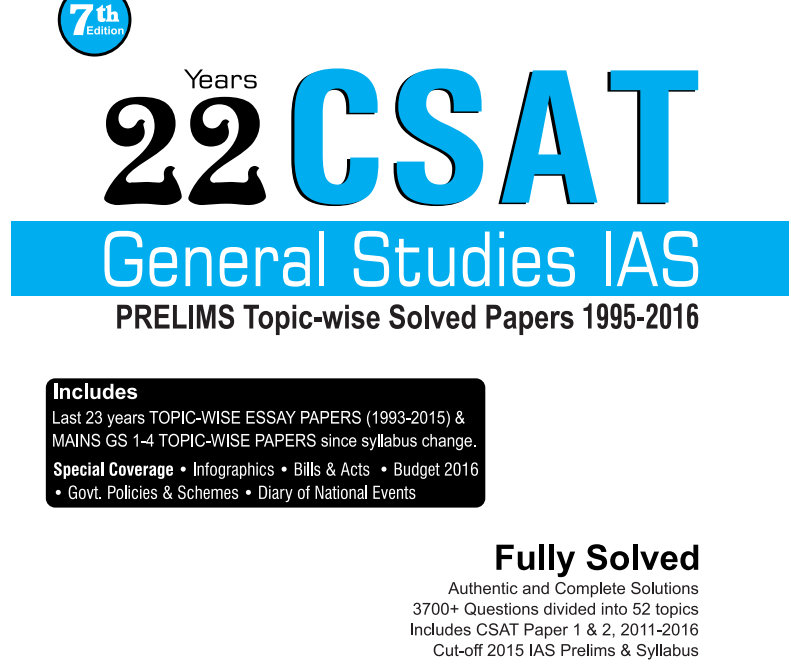 To get the file, download the 22 Years CSAT General studies IAS Prelims Topic-wise Solved Papers PDF.